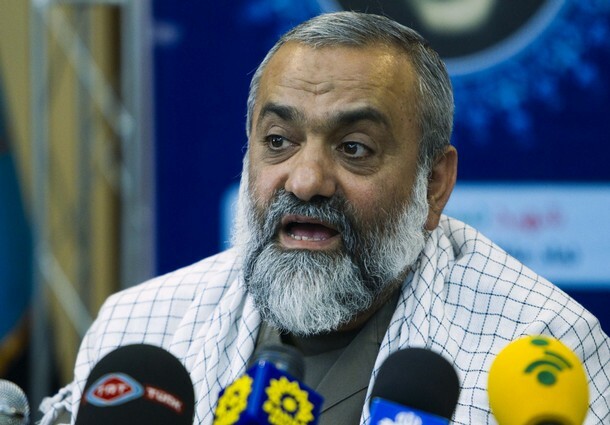 Head of Iran’s Basij militia, Brigadier General Mohammadreza Naghdi, has downplayed all the Western sanctions in Iran. He also believes Iran might become an economic superpower by applying ‘resistance of economy’ policies first defined by Supreme Leader Ayatollah Ali Khamenei. “By following the new economy model, Iranian nation can build a new world on the ashes of Western sanctions on its economy and this is the concrete way for Iran to become an economic superpower. We must follow all the orders issued by Supreme Leader since it is the best gift sent from god to Iranians.” Brigadier General Mohammadreza Naghdi outlined during a summit with Basij forces in Tehran. “We have increased the capabilities of our defensive systems. Now we can easily detect and arrest Israeli and American spies. Their authorities have previously confessed to our strengths in this field. Also our military and armed forces are among the most powerful armies in region and world.” Mohammadreza Naghdi said. Israel has threatened to take a military action against Iran over its disputed nuclear program which aimed to develop atomic weapons and bombs. Because of these dangers, the officials of Iran’s armed forces have repeatedly responded to Israel’s claims.